Includes Moreton Island 1 Day 4WD Sightseeing tour. Overnight Tangalooma Resort Hotel Room overlooking Moreton Bay. Take advantage of the best camping site on Moreton Island! Includes use of our campsite with uncover areas, tables, chairs, lighting and facilities,your tents already setup, with all camping permits and national park fees included. With a fully equipped kitchen, BBQ and all the necessary equipment, crockery and utensils, even the kitchen sink with hot water facilities. You and your group will be cooking up a storm. Includes your tents (already setup), all your meals and snacks, drinks (BYO), all camping permits & National Park fees. 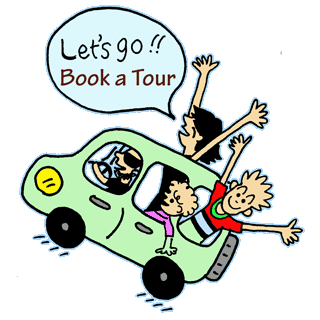 We can supply transfers and transport from the ferry to the campsites and return (at a cost). Choose from a range of menus from affordable to gourmet. Our mouth watering meals are cooked from our fully equipped mobile kitchen and served buffet style. Menus on request. Only Day tour from Brisbane that 4WDs along the Surf Beach on Moreton Island. 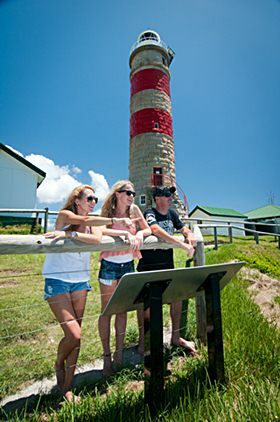 Only Day tour from Brisbane enjoys the spectacular views from QLD's oldest Lighthouse. Only Day tour from Brisbane with access to Blue Lagoon - Freshwater tea tree lake. All equipment and instruction for Sand boarding the desert and Snorkeling the Lake.